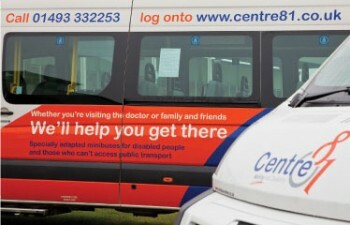 Centre 81 is a local charity for the local people and is based in Great Yarmouth. It provides two essential services for those who live in the Borough of Great Yarmouth and beyond. Centre 81 provides a ground breaking Skills and Activities Centre at Tar Works Road providing a safe and stimulating environment for adults with physical, sensory and other disabilities including those with complex health and/or social needs including associated learning disabilities. 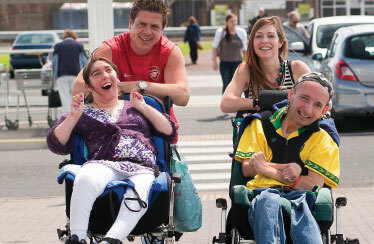 The impact of disability is such that some of our members experience detoriating health and shortened life expectancy. They can also become isolated from their local community and are considered to be vulnerable. Our existing centre based services consist of a wide array of activities such as arts, cooking, IT, music and drama as well as services such as counselling and personal pampering. In keeping with our core values of integration, wherever possible members take part in activities in the wider community including swimming, sailing, bowling, art exhibitions, photography, theatre visits, concerts and fun sports. Our members choose what activities they wish to take part in and play a part in organising these. The emphasis is very much on having fun and getting the most out of life. We also run a popular Community Transport Service for the wider community. This service is there for all citizens of any age within the Borough who cannot access ordinary public transport. Our transport can be used by anyone in the Borough to assist them to be involved in their local community. We also support local clubs and societies by providing transport for their members to access their club. The aims are to support our Community Transport members to be independent and assist them to be part of their local community. This service provides specialised support for anyone with a disability including those who are frail, whilst welcoming people of all ages and abilities. Our ten-vehicle fleet is an affordable lifeline for people who might otherwise be housebound or isolated. It’s used for everything from visits to the doctor and shopping trips to meeting up with friends and going to the pub. For our regular members our Community Transport Service is their ‘Social Club on Wheels’. Centre 81 is a registered charity that employees professionally trained staff to support all of our members to live their lives to the full and have fun.